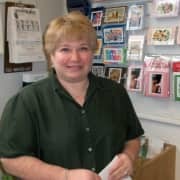 Roberta Hoag is a lifelong Bergen County resident and retired Postmaster of Haworth who worked for the United States Postal Service just short of 40 years. 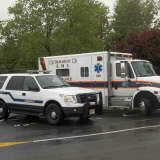 Hoag remains active in the Demarest Volunteer Ambulance Corps. and the Demerest Board of Health. 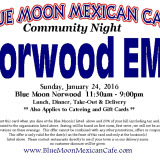 Former Haworth Postmaster Honored For Service In Ambulance Corps. 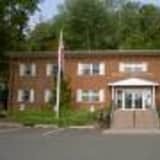 DEMAREST, N.J. -- The Demarest Mayor and Council held their annual sine die and reorganization meeting Monday night in Borough Hall.Two Democratic incumbents on the council, who were re-elected in November, were sworn in.Daryl Fox was sworn in to a new term as councilwoman, and Gregg Paster as councilman. 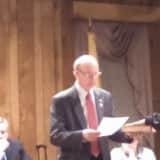 DEMAREST, N.J. -- Joseph N. Connolly has been sworn in as Demarest Councilman, filling a vacancy left by Steve Schleim's resignation.The Mayor and Council appointed Connolly to fill the seat until the next general election. 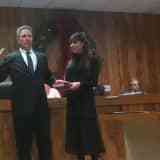 He was sworn in my Mayor Ray Cywinski last Monday. 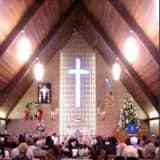 DEMEAREST, N.J. -- The United Methodist Church in Demarest will celebrate Christmas with two services on December 24. All are welcome to join on Thursday for Christmas Eve Services.The Christ Child Service will be held at 6 a.m. 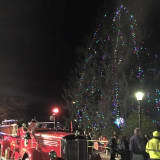 Traditional Candlelight Service will take place at 11 p.m.United Methodist Church is located at 109 Hardenburgh Ave.
DEMAREST, N.J. -- The Demarest Christmas tree sprang to life during the annual lighting ceremony on Tuesday, Dec. 8. The event took place at the railroad station on Park Street. Attendees were treated to caroling, hot cocoa and a visit from Santa. 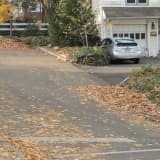 DEMAREST, N.J. -- Demarest residents will no longer be able to put piles of leaves out for collection. As of December 20, all leaves are to be bagged for pick-up. 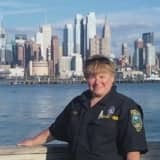 The Department of Public Works notes that weather, breakdowns and other conditions can slow down the process of leaf collection, and asks residents to be mindful of leaf crews in the roadway.